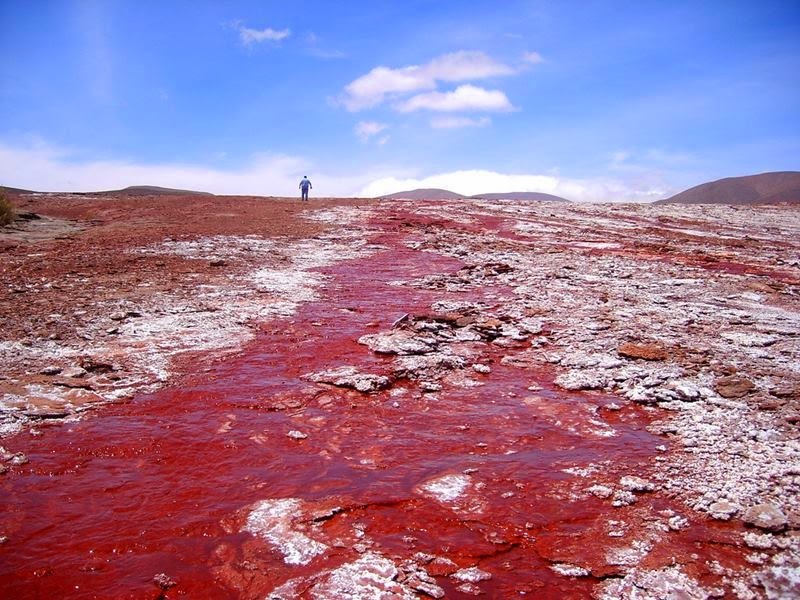 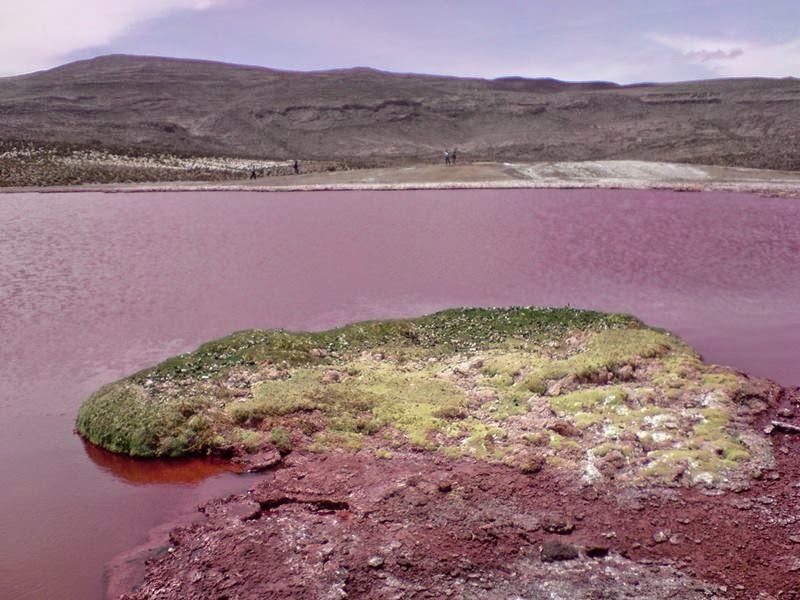 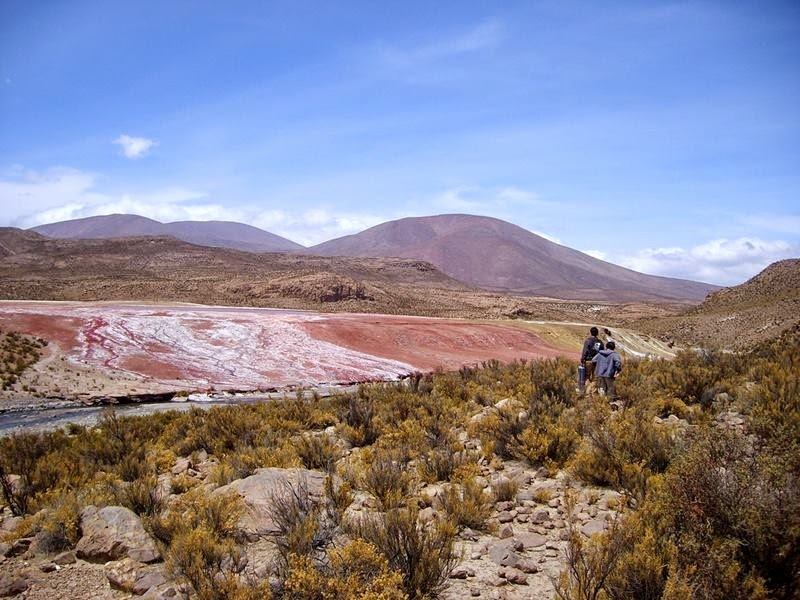 The mysterious beauty of the Red Lagoon Camiña is located in the interior of Iquique Province, in northern Chile and around 12,100 ft above sea level, lies a strange Red Lagoon. 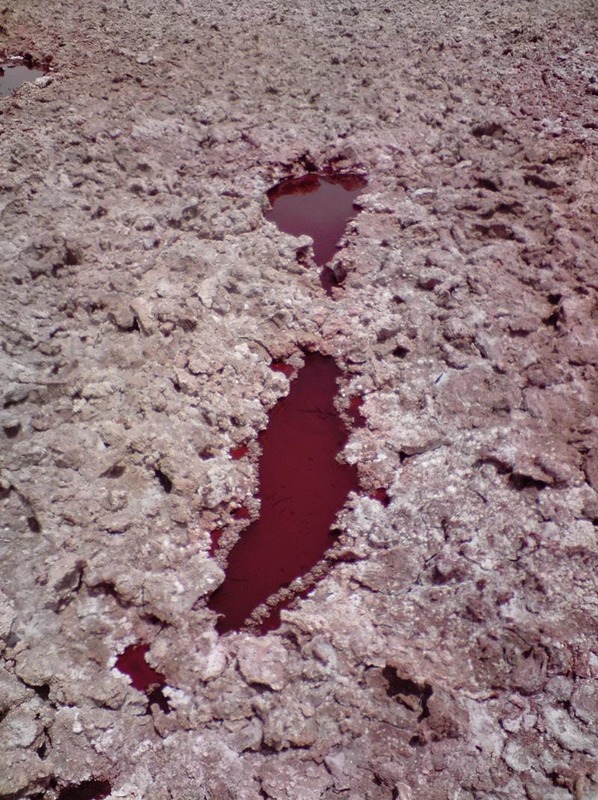 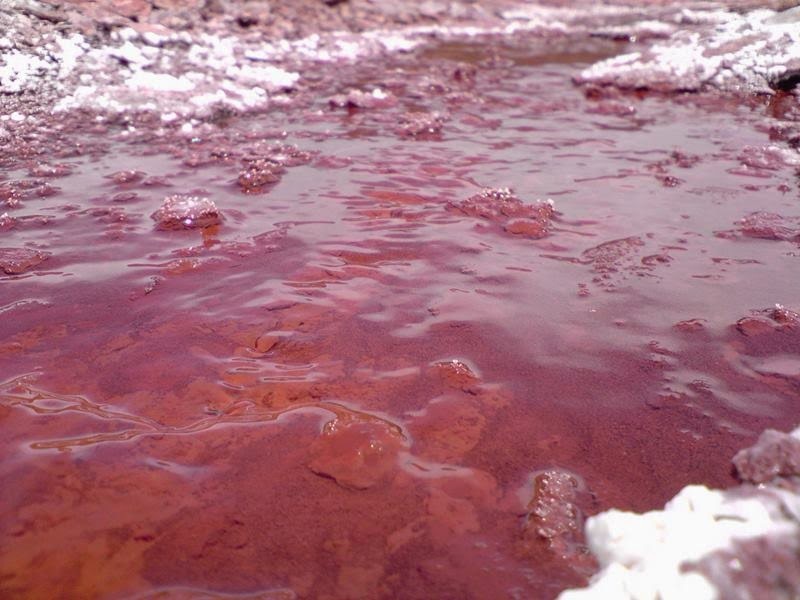 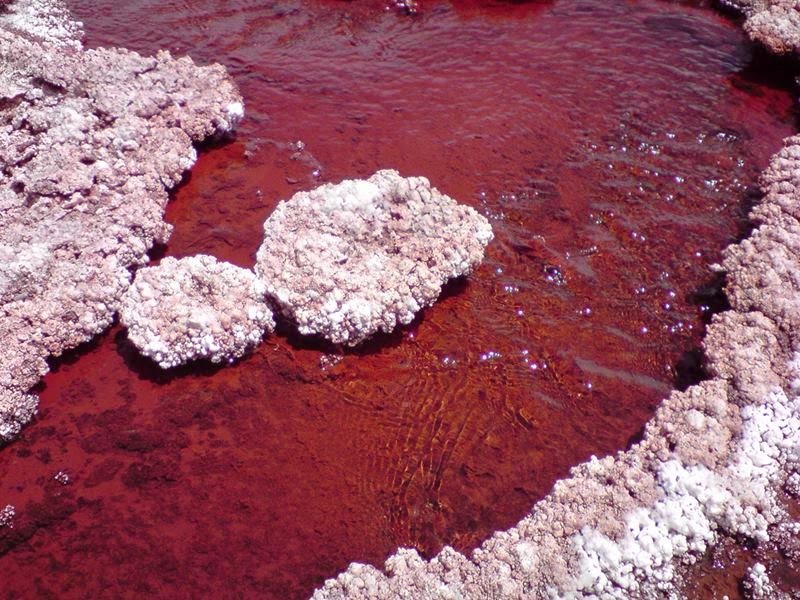 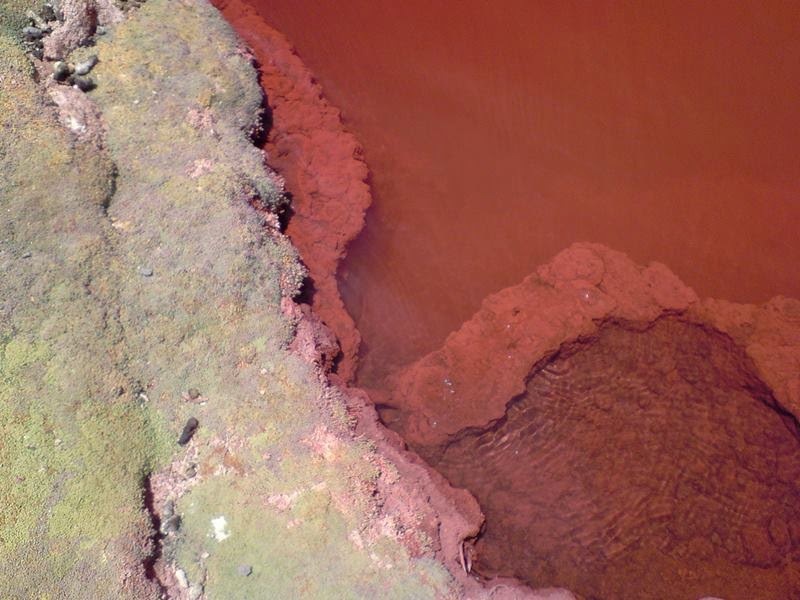 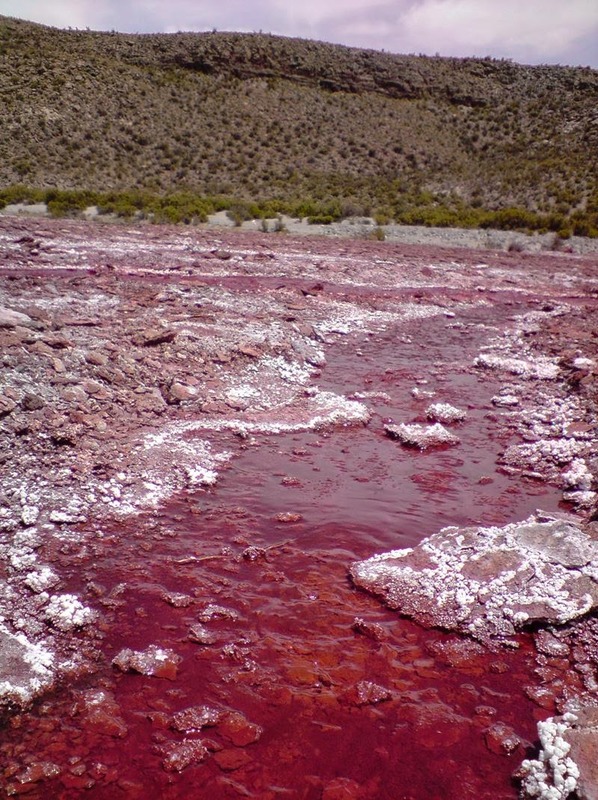 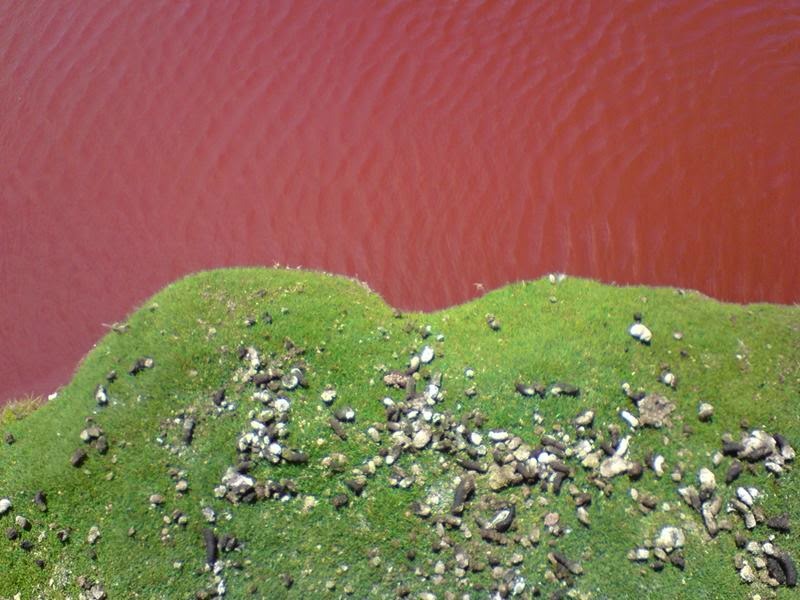 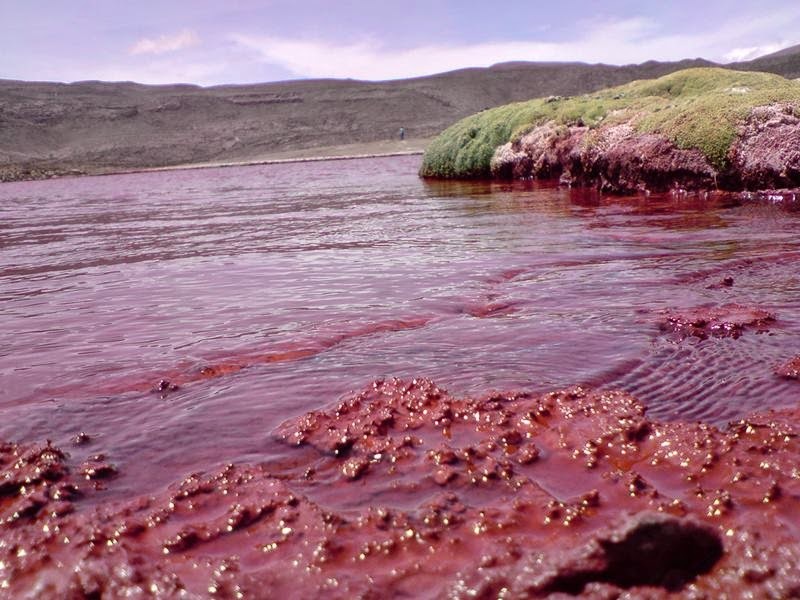 The waters of the lagoon is so intense red that it seems like ink or blood. 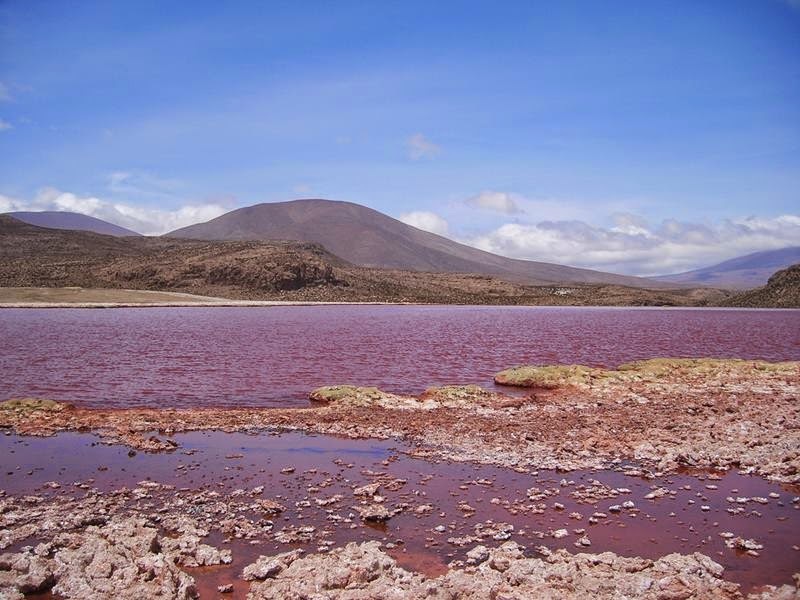 The lake was known to locals, but unknown even to the National Service of Tourism until 2009, although several miles downstream lies the Caritaya Reservoir.